No steel to be found. Eventually, I wrote poems for all the places I’ve lived for any length of time. I attended college in Chicago and, for a long time, lived in Mt. Lebanon, a suburb of Pittsburgh. For a brief time, I taught at Allegheny College in Meadville, in northwest Pennsylvania. I also taught in Raleigh at North Carolina State University. I served in Army bands in both Atlanta and Honolulu. I also attended graduate school in Atlanta. I currently live in Indiana, Pennsylvania. Most of these poems were written between 2001 and 2005. “Indiana, Pa.” was written in 2018. I don’t know how much of the content of these poems I need to explain, but I’ll offer some brief notes. New Orleans, of course, is built on a swamp, roughly at sea level. In its early history, yellow fever was common. Mosquitoes and rain are still prominent features of life in the Crescent City. My judgment on the location of New Orleans seems prescient in light of the devastation caused by Hurricane Katrina in 2005. Chicago is nearly as flat as New Orleans, but the ground is more stable. 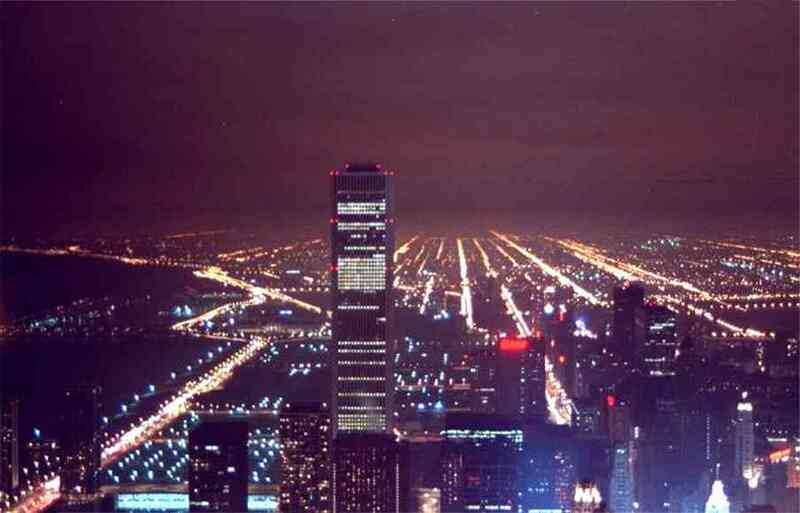 From the air, the grid of streets spreads out from the lakefront as far as the eye can see. That grid is crisscrossed by expressways that, at rush hour, might be mistaken for parking lots. Pittsburgh was once the steel-making (and air pollution) capital of the U.S. The steel mills are gone from the city now, which allows the natural beauty of the landscape to be seen. 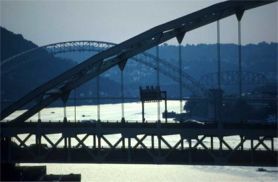 Bridges of Pittsburgh, by Bob Regan, with photos by Tim Fabian, claims that Pittsburgh has 446 bridges. My haiku appears in this book as an example of art inspired by Pittsburgh’s bridges. Meadville residents will understand “Meadville, Pa.,” but no one else will without an explanation. The place was founded over 200 years ago by David Mead, after whom it is named. Meadville is a town of about 13,000 people with a long, and mostly happy, industrial history. The ’80s were unkind to Meadville, however, as the Avtex Fibers and Talon Zipper plants closed, leaving Channellock, a maker of pliers, as the best-known manufacturer in town. I lived nearly all of 1970 and 1971 in Honolulu, courtesy of the U.S. Army. Hawaii was culturally interesting, architecturally impoverished, and climatically pleasant. It did come as something of a surprise, however, that the perpetual sunshine and year-round average temperature of 75°F could, in its way, become oppressive after a time. No doubt, the phenomenon is intensified by one’s being isolated on a small island in a vast ocean. “Island fever” is endemic among extend-stay mainlanders. I spent time in Atlanta at Georgia Tech and at the U.S. Army’s Ft. McPherson in the late ’60s and early ’70s. Southern charm was in short supply even then, but the place had many attractions for young adults. The city, unconstrained by the usual natural barriers, was rapidly becoming the expanse of urban sprawl that it is today. Do I have to tell anyone that Margaret Mitchell wrote Gone with the Wind?